I bet most of you have never heard of Chrissi island. This small Greek island could be hardly found on the map and stands a bit away from the popular Mediterranean insular routes. I believe, it’s purposely done and is related to the Greek government’s aim to protect and preserve the island in its natural shape. 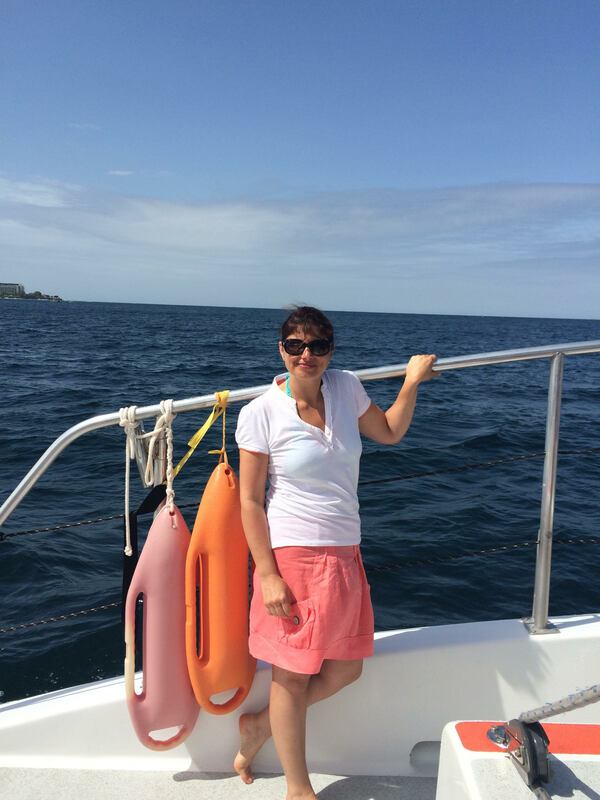 When I disembarked on Chrissi and stepped on its beach, I already knew it was going to be a lifetime catch. I just needed to open my eyes for all the marvels around. 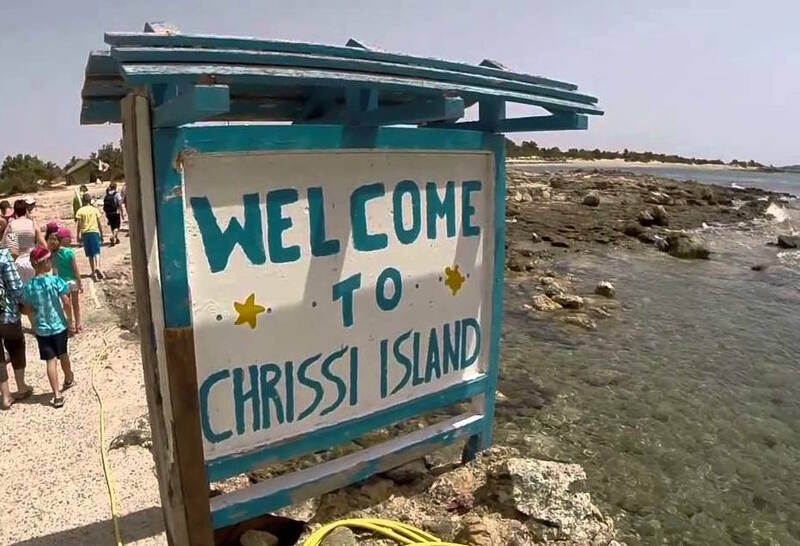 I heard of Chrissi, while visiting some fellows in Ierapetra, Crete. 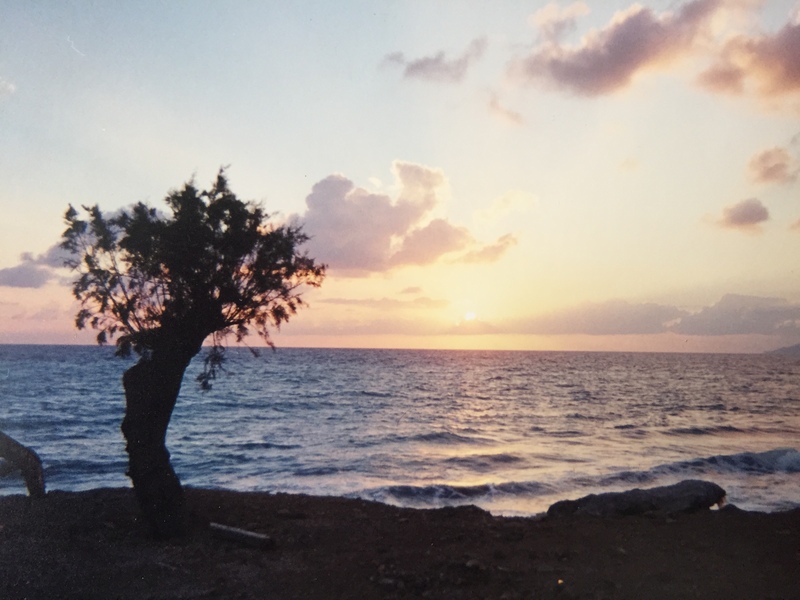 We used to think Crete is the southernmost Greek island, but it’s not. Chrissi is. It’s about 9 miles (15 km) away from Crete. You can also see the name spelled like Chrisi or Chrysi. Regardless the transcript, the meaning in Greek is “golden“. Briefly said, I am going to share my golden insular adventure. You already know about my insular addiction, how much I enjoy being on islands, no matter where, but mainly on tiny ones. Chrissi is definitely such one, just 6 km2 large. In its narrowest part, the island could be crossed in a 5 minute walk. The charm of this piece of land is everything could be easily reached on foot. It’s rather flat, no hills, no mountains, no rocks. And it’s nothing like the other Greek islands. 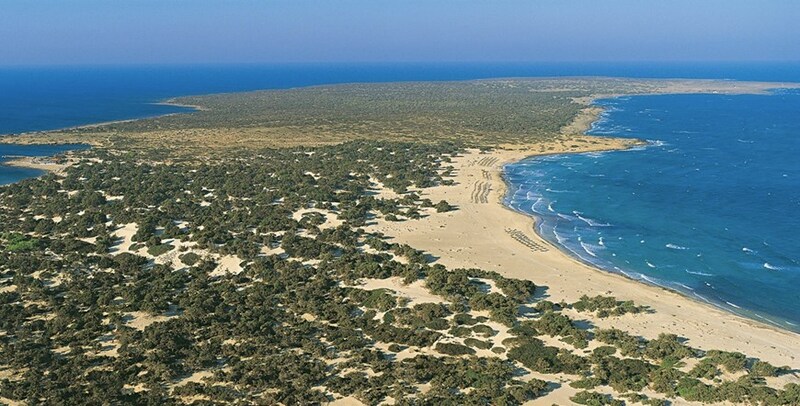 Located in Libyan Sea, Chrissi looks much more like a Caribbean spot – extremely thin white sands, turquoise crystal water, endless beaches, lots of corals in the shallows, and no much shades. In fact, the whole island is completely covered by sand. 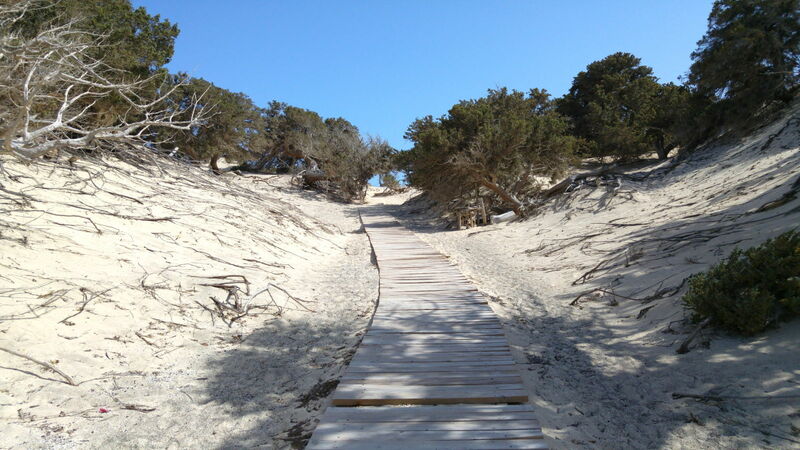 Even the crooked cedar trees and some lonely bushes are growing directly from the sand. Even after so many bans, I found the island changed. 15 years ago, when I saw it first, the clean spacious beaches were natural, not civilised, rough and wild, which was a big plus to me. Now – umbrellas, sun beds, open bar and taverns have been installed on site and the romantic charm of the place was a bit spoiled. Also the number of tourists, especially between July and September, was visibly increased. The sense of being in a tranquil piece of the Paradise was gone. I would highly recommend to tour Chrissi from May to the mid of June, and then in October. The crowd is kind of avoidable in those months. The permitted season anyway is from May to October, so I would advise the middle of the season to be skipped. I believe the best way is to take one of the ferries, departing from Ierapetra, the southernmost town of Crete island. The departure schedule is usually set between 10:30 am and 11:00 am. Ticket price round trip for an adult is 25 Euro, for kids (below 13) is half price. The 50 minute journey is quite breathtaking. Well-equipped ferries, mostly three level decks, sun beds, bars, great music, dance corner… The food and beverages, offered at the self-service bar are not included in the ticket price and should be additionally charged. If you already packed a lunch box and bottles of water, you won’t be forced to buy anything though, as the buffet is just optional. The cruise usually sounds and looks like a vibrant party. Dancing and singing people, taking videos and photos, jumping, laughing, gesturing, mingling with strangers + the mesmerising scenery of Cretan coast from the boat. Sometimes could be seen dolphin flocks, following or accompanying the ferry, which is a highly enjoyable experience. Sitting on the deck, you can watch the colourful rainbows, formed over the emerald waves, while the ship surfs. Everyone on board gets captured by a sudden stream of joy, adrenaline influx and euphoria, bewitched by the sea spectacle. 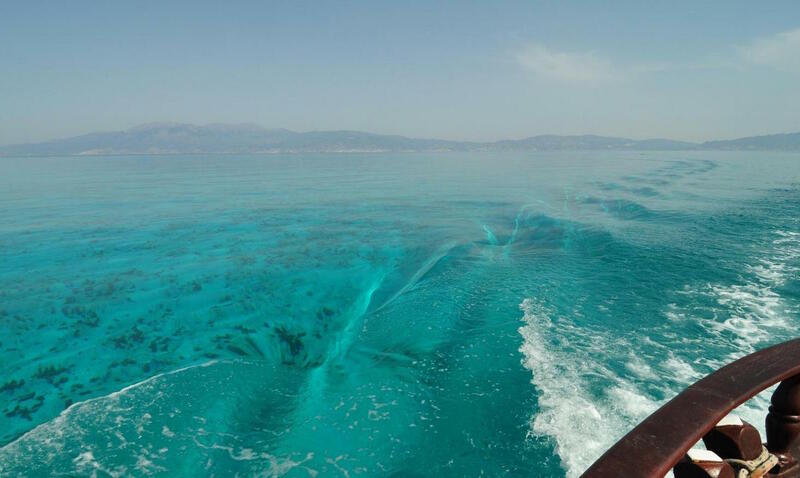 Believe me, the boat trip from Ierapetra to Chrissi island is already an adventure, so do not miss it out. 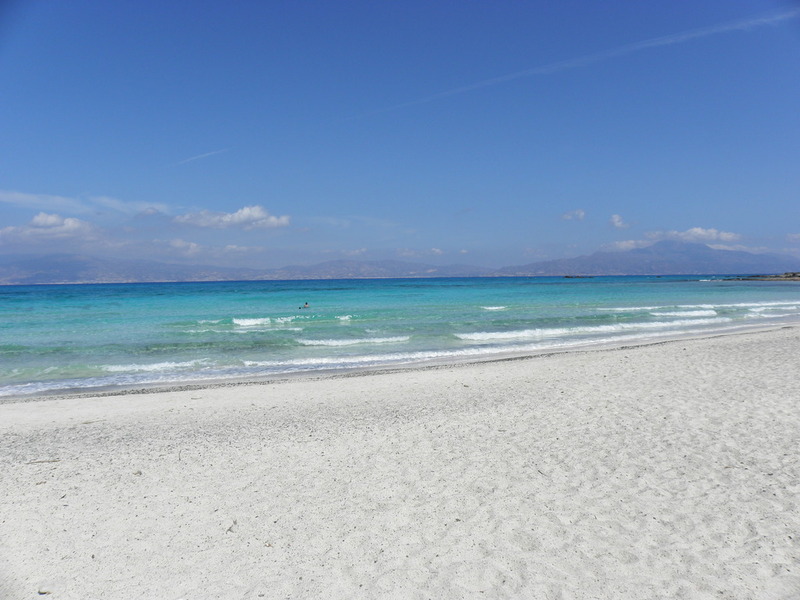 The way back to Crete starts usually in afternoon, between 16:00 and 18:00, depending on the seasonal cruise schedule. 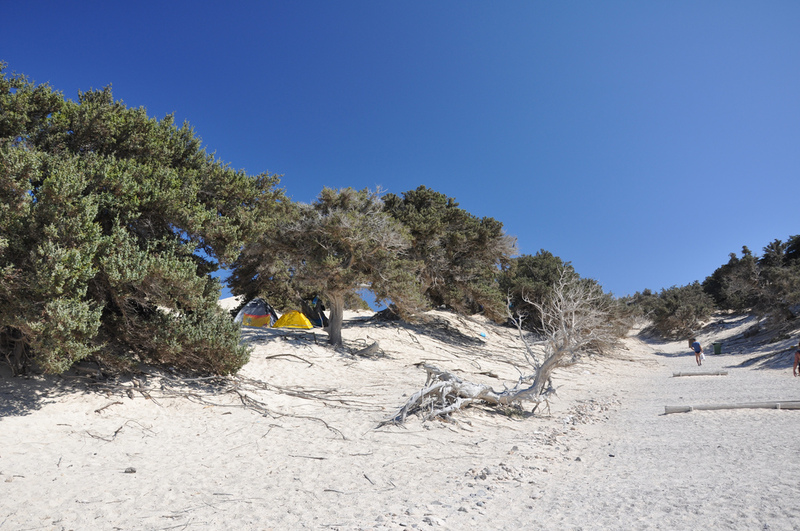 Make sure you are on time, because as mentioned above, camping on the island and overnight stays are strictly prohibited. Get rid of your expensive jewels in advance, before jumping on the ferry. The risk of losing them somewhere in the sea or in the sands is pretty high. There are corals and slippery rocks underwater. To avoid injuries, I recommend water shoes, while swimming (My son got his foot cut on a coral, approaching it barefoot). It’s actually simple – keep it natural, no smoking, no pollution, collect your trash and throw it out to the designated zones. Do not expect any extreme sports in here. The only appreciable activities are diving and snorkelling, but it’s worth it. In need of a quiet getaway? Then that’s your place. I promise you to never regret a day trip to Chrissi island. It’s a unique lifetime experience and should not be skipped. Chrissi is a raw touch to the wildlife, with rare, primitive and unrefined features, but is relatively approachable. As I said, Chrissi island is a secret travel sanctuary.